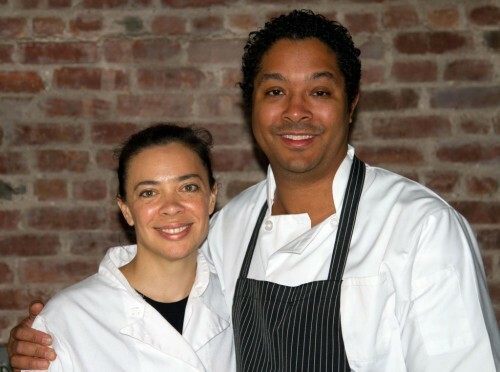 Thanks so much to Suzanne Rust for the fabulous piece she wrote for thegrio.com featuring Black artisanal food producers. We are small in number, but we are growing. Congrats to all these food producers who are making great food and business! We tasted the Nothin’ But bars (by Jerri Graham) and they are delicious — looking forward to checking out more of these businesses, including Slow Jams by Shakirah Simley who also happens to work for Bi-Rite Market (of which we are big fans — got their book Eat Good Food last Christmas. When we go through Atlanta next summer for our family reunion, we are definitely going to be making a stop at the Boxcar Grocer, and hopefully will have a chance to meet Alison and Alphonso Cross. Before then, we’re hoping to catch up with Dynishal Gross and Laura Carroll, who have the Brooklyn start up beverage company, City Lasses, home of Switzel, made with blackstrap molasses. Many many thanks to Suzanne for highlighting our companies. Please check out the article, and the food makers/vendors. Oh, and order your bars now~! OUR ONLINE STORE IS NOW OPEN!!!! !